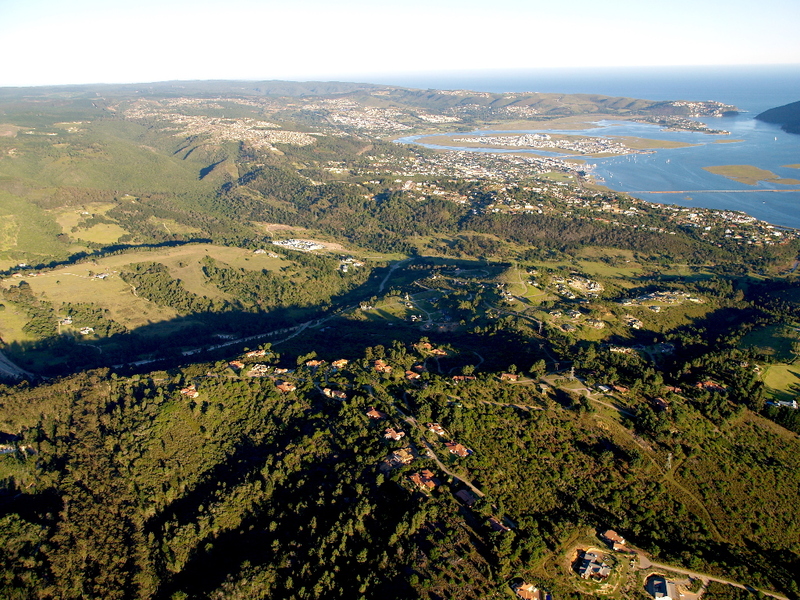 These suburbs are the more recently established estates in Knysna. Eastford Nature Reserves comprised of Eastford Glen, Eastford Cove, Eastford Vale, Eastford Country Estate, Eastford Downs as well as Green Pastures. These suburbs, north of Knysna town, neighbouring Simola Golf Course, are located less than a 5 minute drive to Knysna town with all its amenities, a few more to beaches, lagoon, and forest, and within an hour's drive of many attractions along the Garden Route. Enjoy the peace and tranquillity of these picturesque estates, abundant with fauna and flora, offering affordable homes within a country setting. An active home owners association administers the estate for the enjoyment of residents, including the "green belt" private open-space with walking trails for recreational use. Whether looking for a holiday or permanent home, or simply to make a good investment, Eastford Nature Reserve is an attractive and affordable option. Eastford offers a variety of homes and is set in a secure gated estate with controlled access. These homes have panoramic views of the Knysna Lagoon and/or the beautiful Outeniqua Mountains. Properties vary from middle income to extremely up-market/luxury homes and offers even up to 5500m2 with homes ranging from 300 to 900m2. Eastford has many wonderful aspects and offers the perfect setting for your family, young or old. Enjoy the pristine surroundings and quiet, peaceful setting.